Have some fun at our family-friendly workshop and walk out with your very own maple cutting board! No prior woodworking experience is necessary; all pieces will be pre-cut for students. This workshop is open to adults, as well as children ages 12 & up with a parent or guardian. The Brooklyn Navy Yard’s “Past, Present & Future” exhibition tells for the first time the story of the historic Brooklyn Navy Yard, the 300-acre site nestled on the world-famous Brooklyn waterfront that opened in 1801 as one of America’s first naval shipyards. Building on its service as the nation’s premiere naval industrial facility for 165 years, the Navy Yard is now home to the greatest concentration of manufacturing and green businesses in New York City. On this Bien Hecho Academy guided tour, participants will get a rich overview of BLDG 92—a 19th Century Marine Commandant’s residence adapted to meet LEED Platinum standards and serve the Navy Yard and its surrounding community. 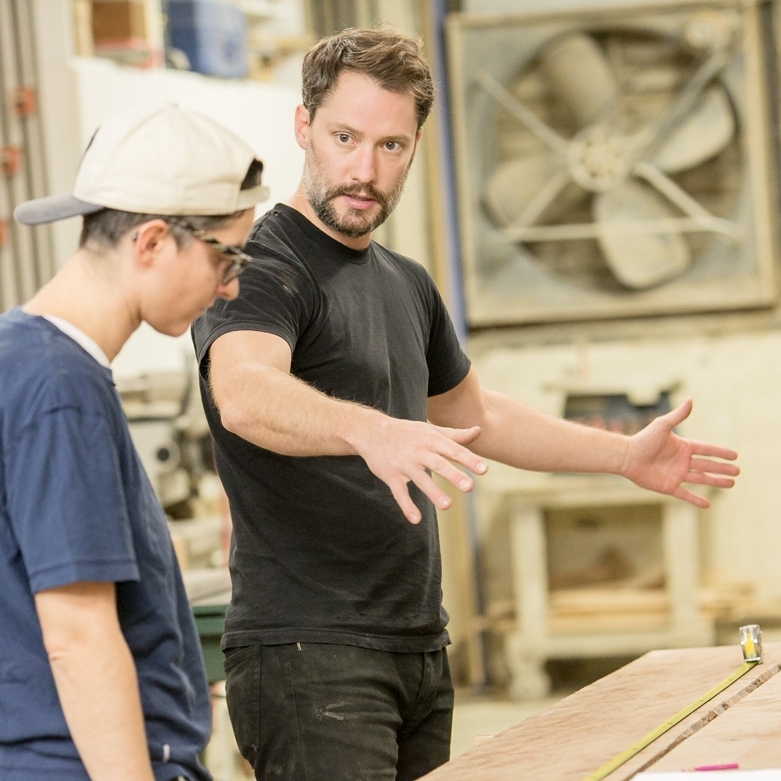 In the spirit of woodworking, our tour will look at how Navy Yard workers have been “making wood work” from the craftsmanship of yesterday to the technology of tomorrow. Students are welcome to bring their own lunch. There are also a few options around the Navy Yard to grab a bite to eat. Images courtesy of the Brooklyn Navy Yard Development Corporation.